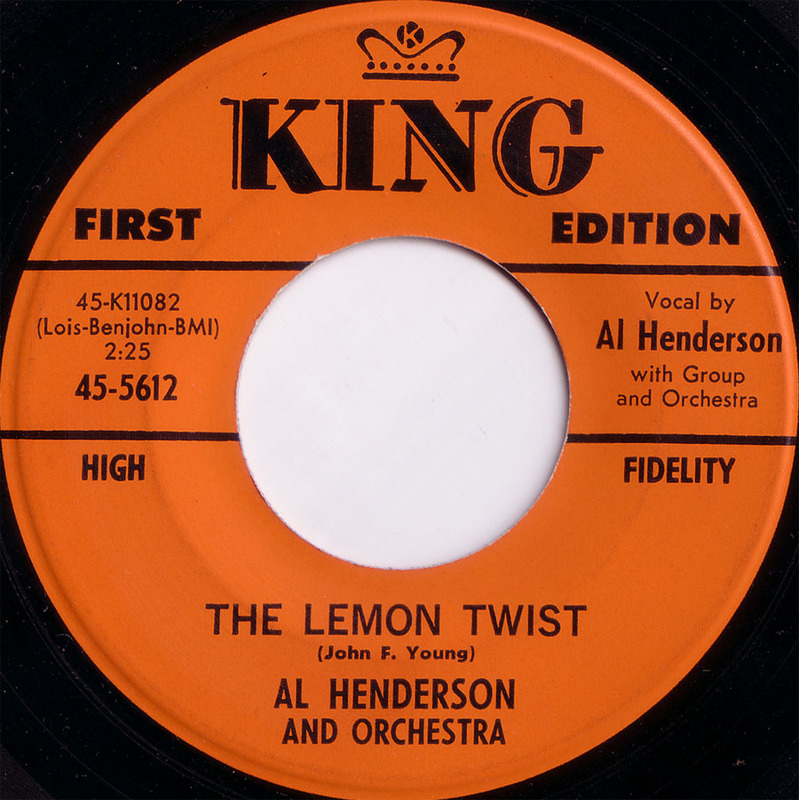 Al Henderson, born in Owensboro, Kentucky, recorded a fine Rock´n´Roll 45 (Ding Dong Dandy/Mary Jane) for East-West in 1958, recorded with Boyd Bennett‘s Rockets in 1960 and another record for King in 1963. 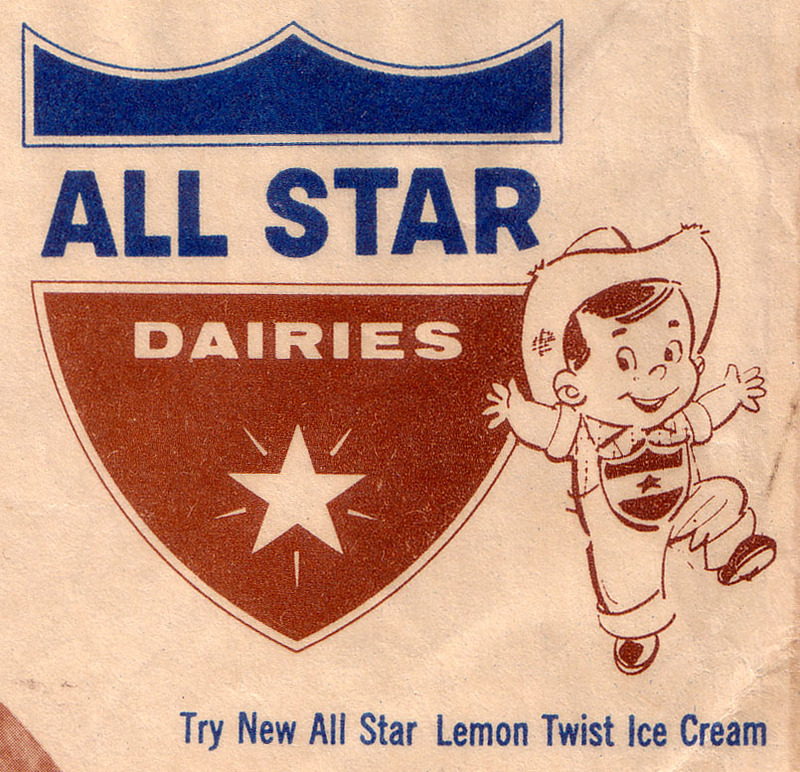 This record was issued by All Star Dairies to promote the Lemon Twist Ice Cream. 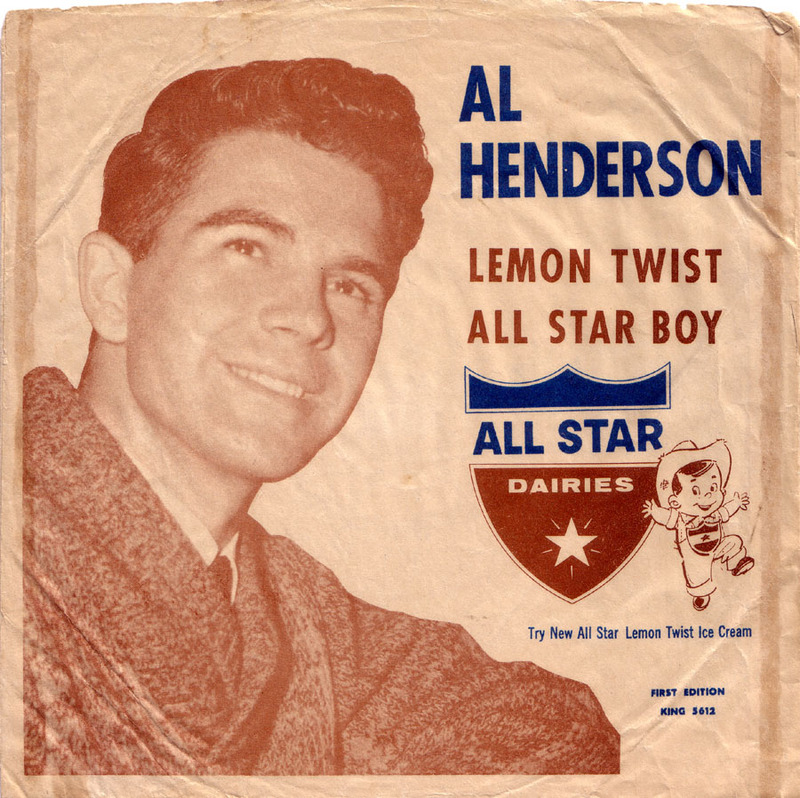 Lemon Twist is a pretty average take on Let´s Twist Again but All Star Boy is a fine rocker with a nice guitar break. Hi, I’ve been replacing lots of music files that I lost in a crash. Did you remove the B-side because of rights problems? The file for the A-side is still there. The A-side downloads, but it’s not there, either.